Bovine Serum Albumin (BSA) is a globular protein derived from cow’s blood. Due to its low-cost, stability and availability, BSA is widely used as a protein concentration standard. 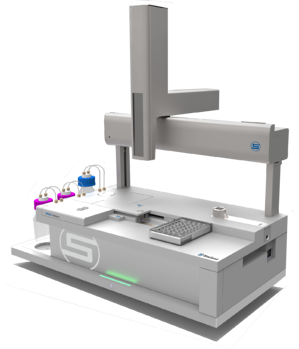 VROC® initium offers unattended viscosity measurements at controlled shear rate and temperature. Download this application note to learn more about how you can automate your temperature sweeps and viscosity screening.VROC® initium makes your viscosity screening hands free, worry free and Simply Precise™.